Math has a reputation of being a tedious subject that more than one child has shed a few tears over. You might not be able to make your child fall in love with algebraic equations and the quadratic formula, but you can help to make the process slightly less horrifying. No, we’re not talking about the square root. 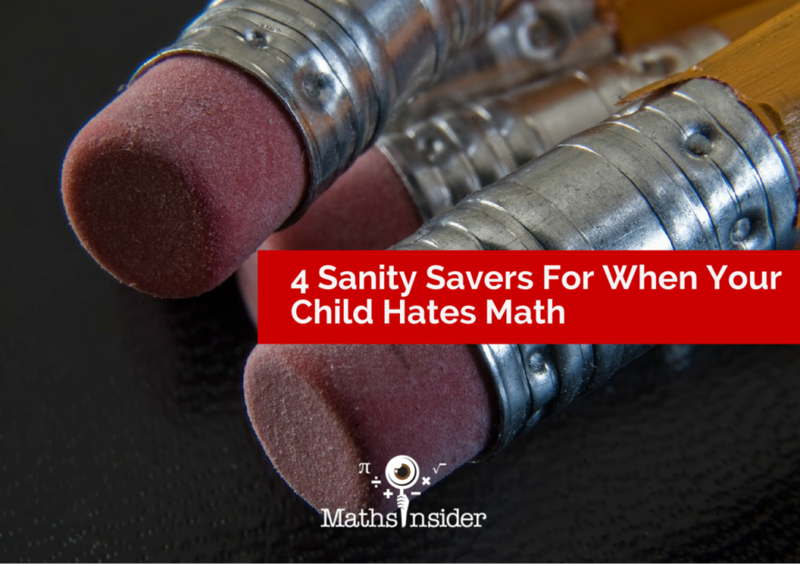 Do you know why it is that your child hates math? It is hard to properly correct a problem when you do not even know the reason why it exists. Maybe the child does not like his or her teacher, in which case a conference might be necessary in order to fix the issue. If it is early in the year, maybe the child can be transferred to an instructor who has a different type of teaching style. Another possible reason why a child might hate math is because he or she finds that it is too difficult to figure out. If that is the problem, then the parent should consider hiring a helpful and friendly tutor in order to get the child back on track with the class. Ok, so maybe this idea seems a bit trite. However, try to introduce math in ways that do not make it sound like a lesson. For example, when you go out to dinner with the family, offer a small prize to whomever can figure out the bill the quickest. Before embarking on a family vacation, your child will probably ask about how long the trip will take. Show him or her how many miles away it is and how fast you will be driving, and see if he or she can figure it out. After the fact, you can tell your child that he or she has just successfully completed a math problem. One way to infuse math into a child’s daily life without making it seem like work is to introduce baking and cooking. Both of these activities, especially baking, require precise measurements to ensure that the recipe comes out tasting as good as possible. For little ones, have them help you with the measurements. If the children are older, they can complete the measurements or possibly the whole process of baking by themselves. Make a small batch that has the incorrect measurements in it, and have children taste both the properly prepared and the improperly prepared batch. When they see how awful the batch with incorrect measurements tastes, they will hopefully have a heightened appreciation for the use of math in every day life. Another option is to have children create their own recipes and to accurately note how much of each ingredient is needed. Do not tell your child that he or she cannot talk to you about the dislike for math. If the student continues to hate math and no corrections are made, the end result might be a failing grade in the course. The initial conversation to diagnose the problem is just as important as continuing conversations to make sure that the issue is resolved. Ask your child questions about what happened in math class today, and see if you can use the material as a bridge to matters in every day life. Whatever the problem may be, you cannot force your child to love math. However, your child is going to have to continue taking math courses up until college. Therefore, it is important to instill at least some appreciation for the ways in which math helps the world to go around and assists people in functioning in their daily lives. Marcia Fields writes about education, parenting & saving money at www.boatinsurance.org.